The small conference room feels like a VIP lounge with modern, comfortable furniture, creating a relaxed atmosphere for conferences and meetings. 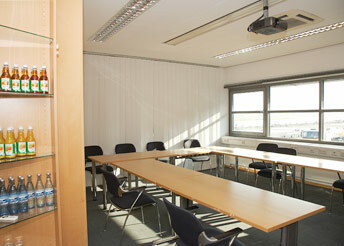 The small conference room is perfect for small groups of up to 6 people to hold meetings, discussions and conferences. Conference drinks and catering can be ordered or you can organise it yourselves: you do not need to order from us.